After puns galore on the trending #UKPunDay, it seems we all have a pun up our sleeve, with everyone from the Royal Mail to Irn Bru and BBC Earth joining in the marketing bonanza on Twitter. Now in its eight year, and a total sell out for the last four, the UK Pun Championships has always been one of the more popular shows at Leicester’s long-running comedy festival. Since my first visit in 2015, the event has moved to the much grander De Montfort Hall, and incorporates more pun-ch for its puns with a boxing ring style ‘in the round’ set up. Hot from his role as a judge on Ireland’s Got Talent, comedian Jason Byrne is an excellent host, immediately getting the audience to sing a rousing adaptation of The Bangles’ ‘(Just another) Magic Punday’ as he bounds into the ring. 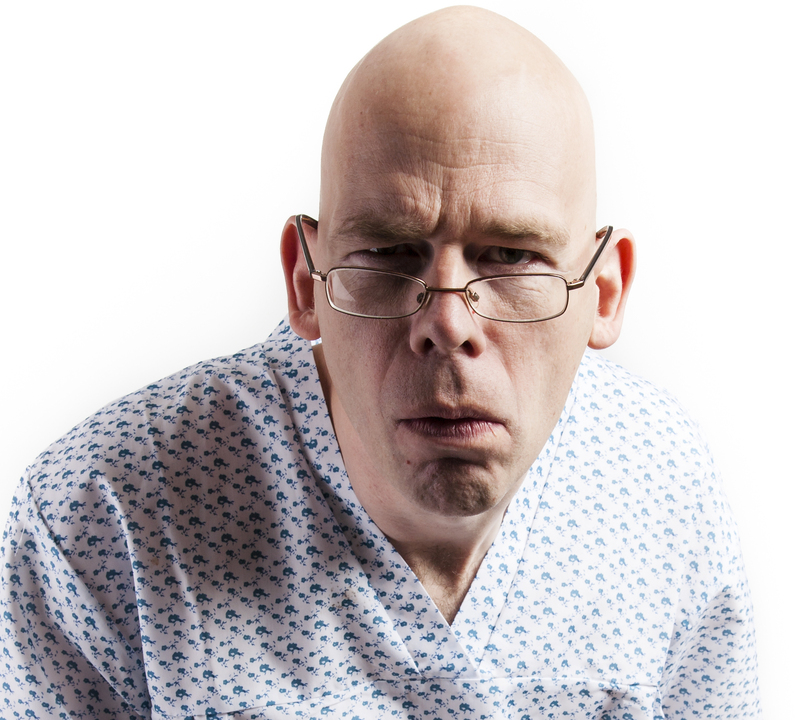 Quickly establishing relationships with individuals in the audience for various running gags and ‘voluntary’ activities, he is withering yet encouraging, and not scared to chuck in a few p-bombs of his own. How does it work? 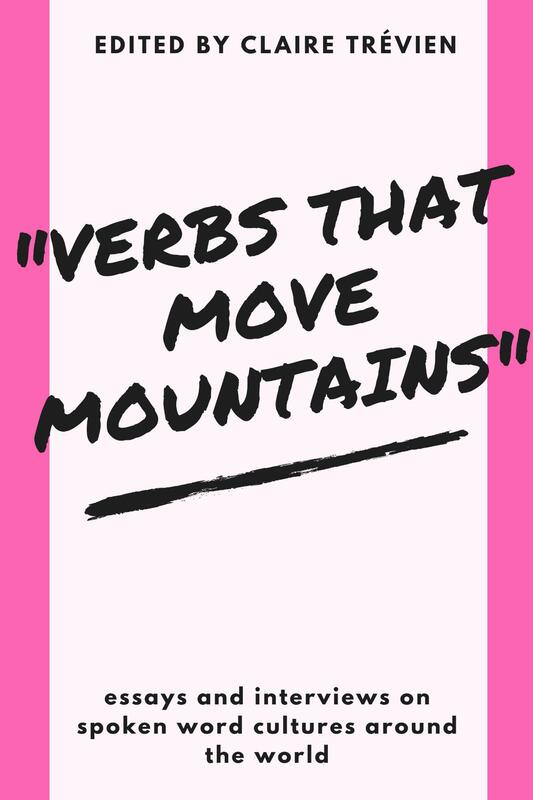 Instead of a rap battle, we have a pun battle – topics are plucked randomly from a bucket and two competitors take it in turns to hit us with their best puns on their given subject. The audience decides who goes through via the scientific method of clapping and cheering. Further tension is added via Jason’s wielding of his sound effects pad, whacking out claps, slaps and tings of approval post-pun. 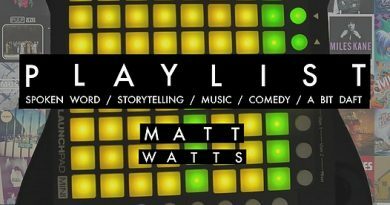 Eight competitors are whittled down to two finalists to pun it out for the title. The Pungician may have lost the audience with a pretty sick Princess Diana-themed pun – it seems it is still too soon where that’s concerned, however, the Puncredible Hulk’s superior crafting won out here. Samantha ‘Hit and Pun’ Baines vs Robert ‘Pun Robert, Pun Robert, Pun, Pun, Pun’ Thomas had ice skating and alcohol. Both threw some nicely-turned puns but Samantha took a little too long to get going and ‘Pun Robert’ took the round (if only for his fine pun involving ‘curling one out’). I did an experiment on the effects of alcohol. The results were staggering. Julian ‘Pun DMC’ Lee and Colin ‘The Pun and Only’ Leggo punned lyrical on newspapers and rain. Pretty evenly matched, but Pun DMC came through. What happens when a French footballer breaks 100 eggs for a goal celebration? They get cent oeuf. 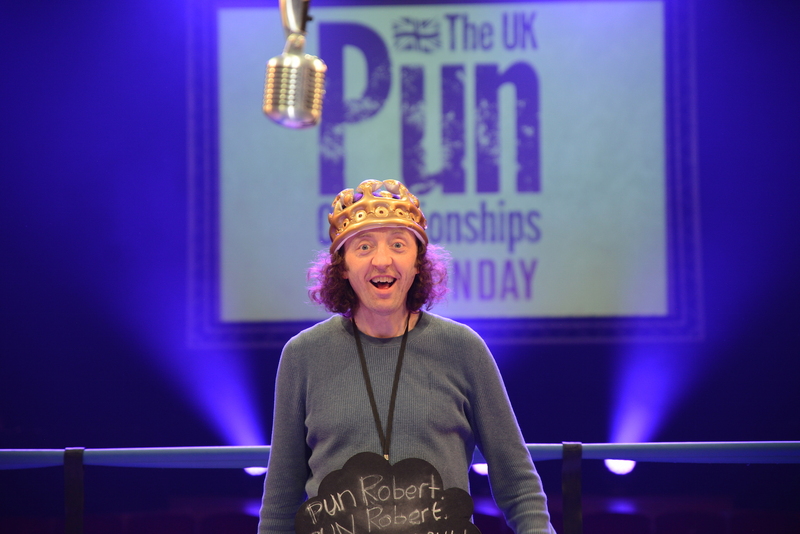 Semi final 1 Thor God of Punder vs Pun Robert – pretty close but Pun Robert came through on football and musicals, and a canny move by Pun Robert to involve Leicester City’s Premiership victory season as the main focus of his football puns. Semi final 2 – Pun DMC and The Puncredible Hulk battled it out in a very close contest requiring three rounds of clapping and cheering to determine the winner (Pun DMC in the end). Their subjects, love and the environment. 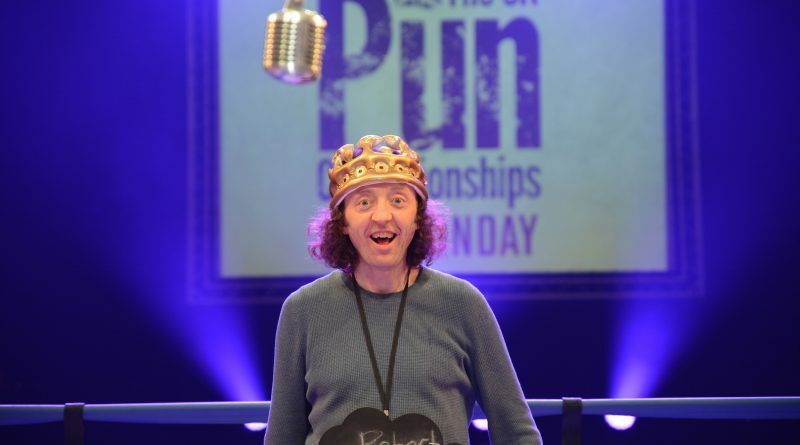 It felt a topic or two too many here but Pun Robert kept his cool and has the more consistent material; after several attempts and having been runner up in 2015, congratulations to Robert Thomas, now the UK Pun Champion 2018. In 2015, this was a very male-dominated event, both on and off stage. Good news for 2018 is seeing two excellent female finalists and a really wide-ranging audience demographic. Slick, but still a bit silly, Jason Byrne keeps a tight hold on proceedings, however, it’s a shame there isn’t a more freestyle feel to the rounds. The best moments are when contestants pun on the spot and appear to go off-script. Fair enough they have some idea of the topics coming up as these puns need to be lovingly crafted, but I would have liked more spontaneity and sparring – reading from notes kind of kills it. My choice would have been Iain MacDonald and Rob Thomas in the final – they were the two best punners on the night and clearly understand the importance of a clean, clear set up as well as the killer pun-chline. Thinking of entering next year? One piece of advice is spend less time on a costume and more time on the puns. Pun Robert’s advice may well be if at first you don’t succeed, pun, pun and pun again.